This example shows you how to set up a Robot Schedule job that runs on a quarterly basis. The example assumes a Standard schedule (last day of the month for March, June, September, and December). 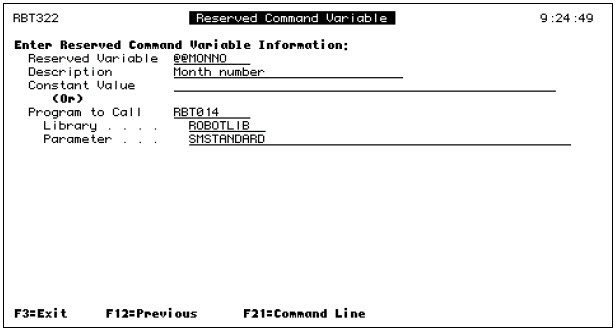 It can be modified to run on Fiscal quarter ends, but the Reserved Command Variable has to be updated with the correct calendar name each year. Also, the Robot Schedule job must be a DAYNO job running on the last fiscal day each month. Create a Reserved Command Variable, @@MONNO, that calculates the current month number of the year. In the Parameter field below, S denotes System Date Format; M denotes Month Number; and STANDARD is the name of the Robot Schedule default Calendar. 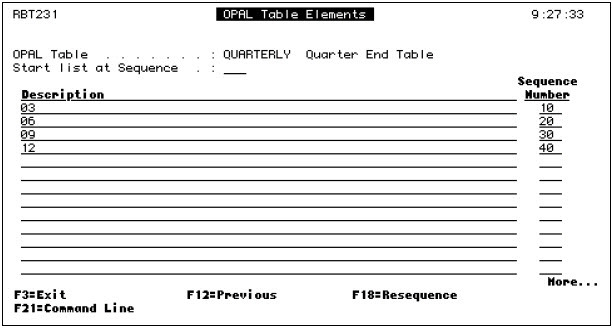 Create an OPAL Table with the quarter ending month numbers, which must be two digits because the @@MONNO variable passes back two digits. Create the following OPAL program, which can be named anything. Create a DAYNO type job that runs on the last calendar day of every month. Be sure to choose a run time. The job may be modified to run on the last Working or Non-Working day. Robot Schedule will look at this job on the last day (of whatever type chosen) of each month. If it is not a quarter ending month, the job will be skipped by the OPAL. 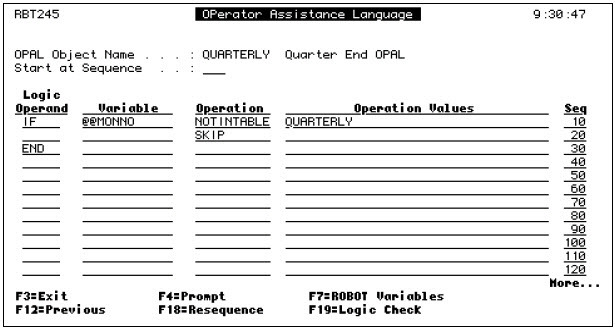 Attach the OPAL program to the Robot Schedule job via the Exception Scheduling Screen.